How to Bolt Down a Gun Safe? A gun safe is not only for storing guns, but it can also be wise to store the most valuable assets to protect from damaging of whether it is a burglar, fire or water. 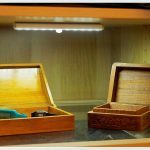 An ideal gun safe is that type of secured place in which your valuables are more secure than any other your alternatives. But the thing is important for your guns, other valuables and the safe you use as potential support against incidents unwanted. So, consideration is to be adamant to settle it in the right place in the right installation. How to bolt down a gun safe is now a crucial issue with a view to helping you with the accurate suggestion so that it comes usable and cost-effective. This article will walk you through the ways steps by steps. Till then, be sticking and keep reading my last words I finish. The first and major decision it tells you where to set up your gun safes. It also demands a place that is not reachable to whoever it wants anytime. The safe should be safe from public viewing for the sake of enhancing security for your safe and safe-in-items. But you will be able to reach it easily. Select it first. Every gun safe keeps a mounting hole in a convenient position. Some are in the middle; some are in the very corner of the safe. Target the hole-position first in the safe, and then mark the position with a marker pen that exactly coincides with the point between the safe-hole and your floor position. Your measurement has come to an end, and remove your safe from the place it was during taking a measurement. If it is flooring by carpet cut a circle on it where to sit the mounting bolt to fix it up. Remember, it looks odd if the hole is cut larger than that of it exactly measures. Your well-measured position needs drilling to bold down a safe on the floor. Use the right drilling machine that penetrates the floor without a damaging bit that spearheads the floor. It should be a rugged finished hole as a whole. Use a wet cloth or blowing machine to get the floor-hole dust out to have a better installation of your safe bolt into the floor. It’s easy so far. Again put your safe in the position you have made a hole as an adjustment or pair-matching. If not, fix it again correctly. You have seen both holes matched each other, and now to tie together to attract each other. First, place your bolt into the hole, it may need hammering several times and put the safe hole matching it, so that you can tie a nut from the upper part of the safe inside. All are done at a glance, and now to tightening the nut to fix it finally. So, pliers are perfect to tighten it in accordance to it requires to permanently set it up. All are here and done. After spending a laborious time on the gun safe reviews, at last, you have got it fit for you. Now, the step is for proper installation. Because it needs you to install it on the safe-side at your living home. A well-setting gun safe is more secured that prevents unnecessary movement by anyone. 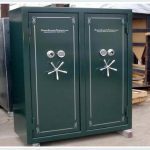 The mentioned methods are the right answer to how to bolt down a gun safe and as I know, you will have the right place to settle your gun safe. As per the instructions are given in this article, you not need to be an expert in driving drill machine, but easily you can do it if a bit of seriousness remains in you. So, go ahead. Success is a must for you.